Presidents’ Day began as a remembrance of George Washington’s birthday and has since developed into a remembrance of all who have served as President of the United States of America. New York City has played a role in the history of many Presidents, even as the birthplace of one – Theodore Roosevelt. In celebration of the holiday, we here at CityLand have created a list of historic places that have a connection to our Presidents. 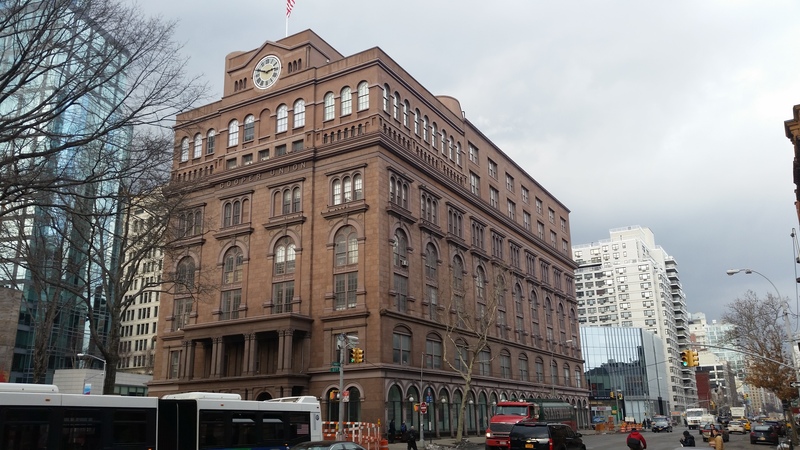 Some of these sites have even been designated by the Landmarks Preservation Commission. From all of us here at the Center for New York City Law, have a happy Presidents’ Day! 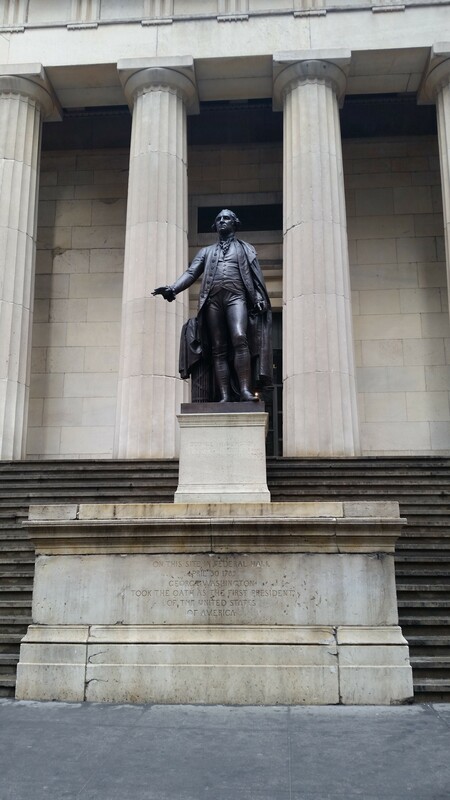 First built in 1700, Federal Hall was the site of George Washington’s inauguration as the first President of the United States under the Constitution. Originally New York City’s first City Hall, the building was renamed Federal Hall after becoming the first Capitol building of the United States of America. Returned to New York City in 1790, the original building was demolished in 1812 when the city government moved to the present-day New York City Hall. The current building was the United States Customs House from 1842 until 1862, a sub-Treasury building until 1920, and was designated a national memorial in 1955. The Samuel Osgood House was a mansion at the corner of Cherry and Pearl Streets, and was the first White House – President Washington’s first residence and offices after his inauguration. Washington would later move to a larger residence at 39 Broadway prior to the capital relocating to Philadelphia in 1790. Demolished in 1856 due to neglect, a support of the Brooklyn Bridge now stands on the site. Founded as a free college in 1859, Cooper Union has been host to speeches from multiple sitting and future Presidents, with perhaps no speech more famous than Abraham Lincoln’s Cooper Union Address. Also known as the “Right makes might” speech, Lincoln delivered the address on February 27, 1860 during his campaign for the Republican Party’s presidential nomination. In it, Lincoln gave his arguments against slavery’s expansion into the western territories and attacked Southern states’ threats to secede if a Republican were elected President. Lincoln went on to win the nomination and the Presidency, and would credit the Cooper Union speech as a major factor in both. President from 1869 to 1877, Ulysses S. Grant was the 18th President after serving as Commanding General of the U.S. Army during the Civil War. During his presidency, Grant lobbied for ratification of the Fifteenth Amendment to the Constitution and oversaw Reconstruction of the defeated southern states, creating the Justice Department to enforce federal law in the South and deployed federal troops to assist US Marshals in arresting members of the Ku Klux Klan. Grant also appointed four Supreme Court justices, pushed civil service reform, and oversaw the U.S.’ successful mediation of claims against Great Britain for building Southern warships during the Civil War. After he died in 1885, Grant was first buried in a temporary tomb in Riverside Park, and then reinterred in the General Grant National Memorial, the largest mausoleum in North America, where he rests today. Theodore Roosevelt was the 26th President of the United States and the only one to have been born in New York City. Born here in 1858, the original brownstone building was demolished in 1916 to make way for retail space. After his death in 1919, Roosevelt’s widow Edith and his sisters purchased the site and rebuilt the brownstone in 1923, even giving information to accurately design and decorate the interior. Succeeding to office after the assassination of President William McKinley in 1901, Roosevelt was previously a New York State Assemblyman, President of the New York Police Department’s Board of Commissioners, and Governor of New York. As President, Roosevelt aggressively pursued antitrust suits against Rockefeller’s Standard Oil and other monopolies, pushed passage of the Pure Food and Drug Act, and engineered the treaty with Panama for construction of the Panama Canal. As a child, John F. Kennedy lived in a twenty-room house in the Riverdale area of the Bronx from 1926 until 1928 and attended the nearby Riverdale Country School. Kennedy was elected as the 35th President in 1960 and served until his assassination in 1963, guiding the country through the Cuban Missile Crisis and initiating NASA’s Apollo mission to the moon. 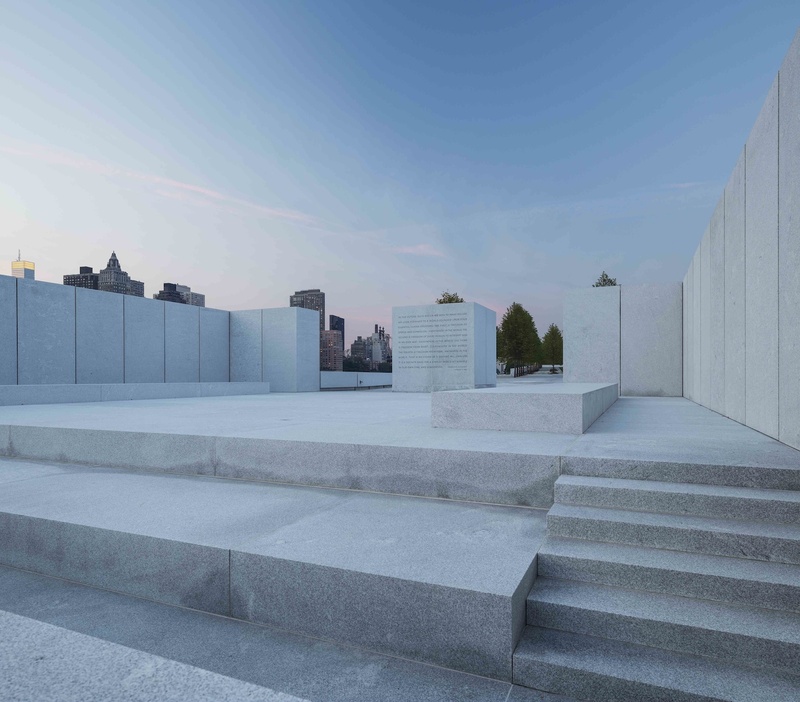 Located at the southern tip of Roosevelt Island, Four Freedoms Park is a memorial commemorating President Franklin Delano Roosevelt’s 1941 State of the Union address, also known as the “Four Freedoms” Speech. Given eleven months before America’s entry into the Second World War, Roosevelt’s 1941 State of the Union broke with American policies of isolationism and argued that everyone in the world ought to enjoy the freedom of speech, the freedom of worship, freedom from want, and freedom from fear. Roosevelt was the first President to serve more than two terms, holding office from 1933 to his death in 1945, and overseeing American recovery from the Great Depression and fighting the Second World War. Roosevelt Island was named in his honor in 1973 and the park was opened in 2012. The 44th and current President of the United States, Barack Obama lived here while an undergraduate student at Columbia University. At the time, the area was “part of the shifting border between East Harlem and the rest of Manhattan” according to Obama’s memoir “Dreams From My Father”, and was a neighborhood of frequent gunshots, drug abuse, and violent crime. After graduation, Obama worked for the New York Public Interest Research Group, then moved to Chicago and began his political career in Illinois. I think that 20th street residence where Theodore Roosevelt was born is featured in a photograph of Lincoln’s funeral procession, with a young Teddy Roosevelt in one of the upper windows. 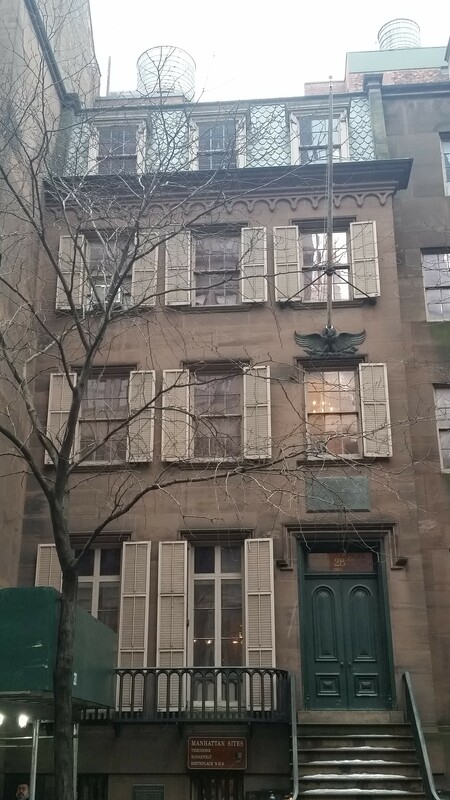 Also: 123 Lexington Avenue was the home of Chester Alan Arthur, who took the oath of office here, becoming the 21st president.